I have discovered after years of not knowing which way my head is screwed on, that I need to keep track of what I'm working on and make myself accountable otherwise I have a habit of forgetting about a WIP and it quickly becomes a UFO. I am determined not to create any more UFO's this year. So far so good. But I think, that once a month or so I need to keep track. Plus it is an excuse to post photos! Mustard mayhem. Hand applique, alternate quilted wreaths. QAYG. 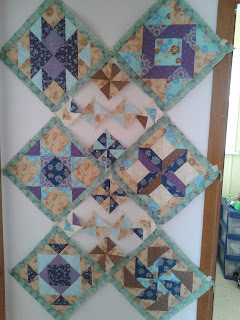 11 blocks finished of 15. 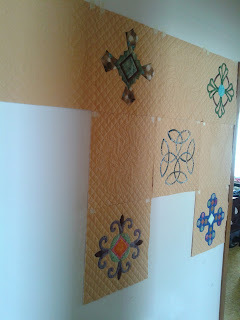 2 blocks being quilted and 2 not started the quilting yet. Libby's blanket. Top finished and sent to the lovely Sue B for a quick all-over design. Will still need to bind it. 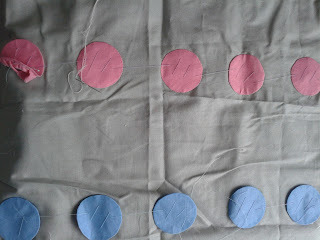 Colour me dotty. 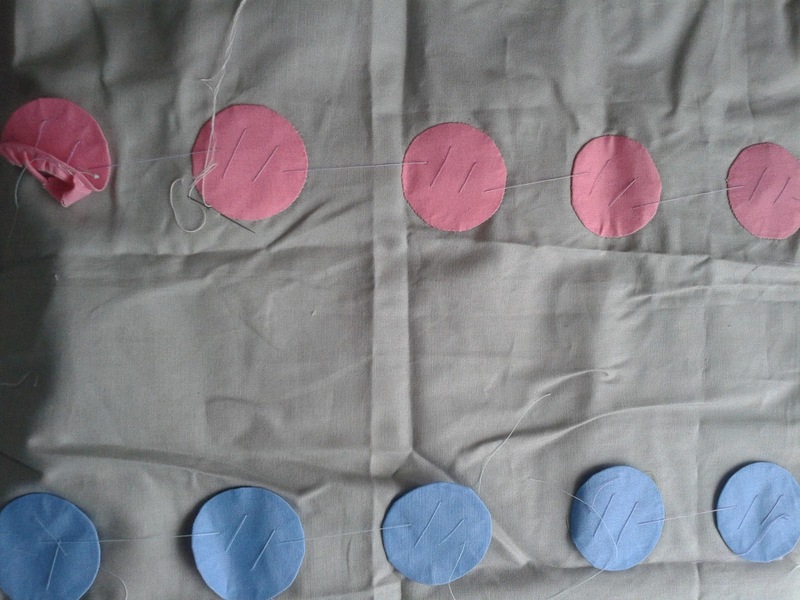 5 more dots sewn. Only a couple of hundred left to go. QAYG lap quilt with my stitchy Saturday ladies. Fabric purchased. Desperately want to start, but refuse to until I have at least got all my blocks for Mustard mayhem quilted and joined in rows. 2013 Guild challenge. I have finally settled on what I want to do for my challenge quilt, I now have to check that it is going to fit in the required dimensions.